Many of us have wonderful memories that we cherish in our hearts. We hoard them like a miser and when the going gets tough the memories pop into your head and bring a smile to your face. I am sure everyone is aware of the Chris- ma and Chris pa game that is played on the eve of Christmas. The college, where I did my post graduation followed this tradition and the year I joined it was soon time to celebrate Christmas. So our department decided to celebrate Christmas starting with the game. The names of the juniors and seniors were written on small slips of papers and dropped into a box and it included the name of the professors too. All of us had to pick up one slip, and the person whose name slip you had drawn will become your Chris child and you become their Chris ma or Chris pa. You had to keep your identity hidden from your Chris child and pass them notes or gifts till the day we had the Christmas celebrations. Then once the celebrations were over, was the time for grand revealing to the Chris children who their Chris ma or Chris pa were. Now the person’s name that I picked out was that of a senior who had made me feel very welcome when I stepped into the department. Over those few moths from the time that I joined the department and the time when we started the game, we had become good friends and to my delight I discovered that he was a person with science background but was very much interested in literature which was my favourite too. I took up the challenge and what followed in the course of the next two weeks right till the Christmas celebrations was a challenge, a challenge between the both of us to see who could out do the other person in sending silly gifts or notes. We had the time of our lives and managed to entertain most of our friends as well. 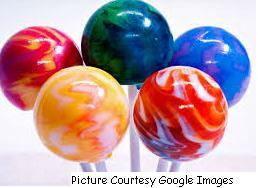 I sent him a lollipop once and was eagerly awaiting for a note…the note did come and it said,”Ma the lollipop made me hop like this…..” and when I opened the lollipop wrapper that he had sent back to me,out hoped a baby frog. There were around four or five of us who were eager to see what he had sent and all of us jumped in fright. Well the incident spread like fire through out our department . To tell the truth till the day of the Christmas celebrations we sent each other crazy notes and gifts like that. On the day of the big revealing, he gifted me a beautifully hand-made doll made from wool, he had requested his real mom to crochet it for his Chris ma. not as mysterious as the universe. as I dream about holding you prisoner in my eyelashes. as I dream about that melody lingering in my lips. As I dream about keeping you innocence sealed for eternity. as I dream about rendering you eternal spring. as I dream they would come back time and again to fill my empty hands. as I dream about holding you prisoner forever. but filled with yearning of my soul. THIS IS FOR YOU MY FRIEND………..
sakhe your presence I feel every moment of my life. This is about a good friend of mine. Both our fathers are friends. Though I know his father very well I met him only when we were sixteen. My fathers friends used to have get together quite often. It was the first time my friend attended such a gathering. We were already a well settled group of youngsters and one of the older boys in the group took my friend under his wing. A couple of us who were serving food decided to initiate him into the gang through a trial by fire. His glass alone was refiled again with salt and water solution. Poor thing he assumed that the water itself tasted like that. The minute he knew that it was a special concoction that was prepared for him humour flashed in his eyes and the ice was broken, Well he had his revenge when we met at his place the next time. I was made to drink a mixture of coffee and tea.!!!!! Yikes. To make me drink salt water solution he drank a whole cup to prove to me that it was just plain water. He loves to drive and when he used to take me in his bike we used to sweep the road at every curve. (He loved to take the curves at a high speed and believed himself to be a formula 1 bike racer).I used to hold on to him for my dear life. So many discussions we have had about our dreams, fear, aspirations, likes and dislikes. Many an hour was spent in pleasant discussions. Life happened and he went to the other end of the world for his higher studies and our life path branched off in different directions and we lost touch. Like the paths in the garden that meanders and keep intersecting our life also kept intersecting. There are days, months and years of silence but when we connect it is always like as if we had our last meeting just yesterday. We pick up from where we left off. There is no demands and expectations from each other but we know that we can depend and trust each other. This is for you my friend who sent me a huge bouquet of roses from US for my marriage and my first dance partner. We might traverse our own path again but when our paths intersect we will continue our journey for sometime together before life decides to take us else where else.